The CoffeeShop Blog: CoffeeShop Fairy Tale LR4/5 Presets: "Alice in Wonderland"
CoffeeShop Fairy Tale LR4/5 Presets: "Alice in Wonderland"
Today I am posting the first of a series of Fairy Tale-inspired LR4/5 presets. 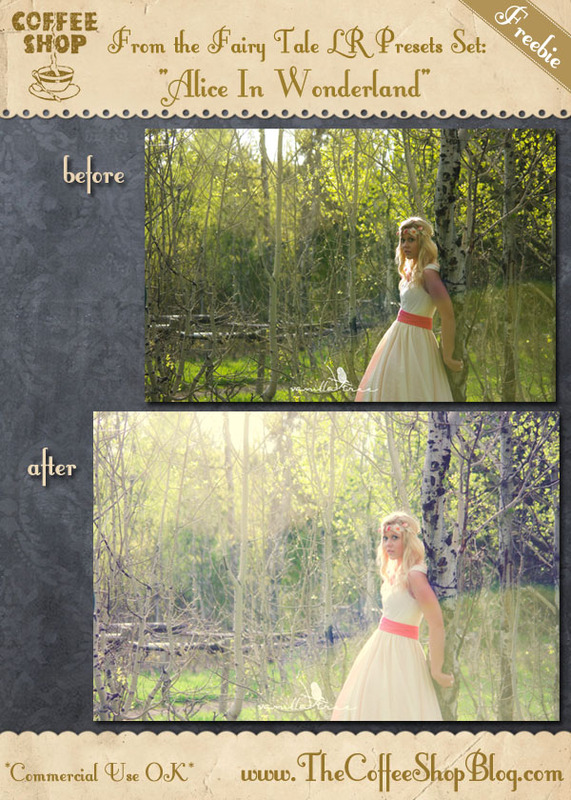 This one is called "Alice in Wonderland", and I used two beautiful images from Vanilla Tree Photography for my before/after samples. 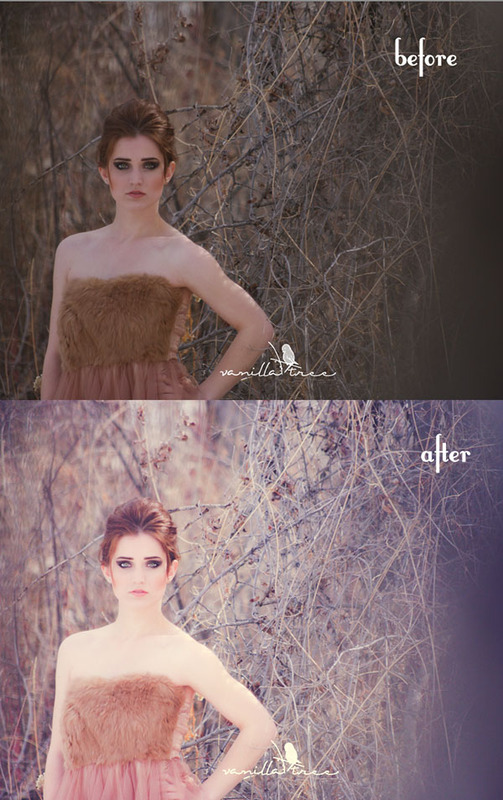 I love the lightness of this edit and hope you enjoy using it on your images. I have a step-by-step tutorial for this LR edit here that might be useful if you want to customize the preset for your image, especially the graduated filter. I used this preset on the image below. Download the free CoffeeShop "Alice in Wonderland" LR4/5 preset. You can also download it here. Ooooh! This looks like a good one! Thank you, thank you! I LOVE LR and this looks like a nice preset. Awesome! I need to go see all your presets now that I have LR4!